Remember how when our kids were little we couldn’t envision them leaving us and going off to college? Now, if you are like me, you can’t believe how quickly the time went. It continues to rush by and before you know it, college graduation will be here. Be sure to check the policy with whichever hotel you choose, but if possible, book more rooms and cancel later when Grandpa decides he isn’t up to the three-plus hour drive. It is far easier to cancel than to try to find a room in February for May graduation. I actually booked three rooms, but only used two. Instead of canceling the last one though I passed it to a friend who found herself short a room. There is always someone in need. If you are booking multiple rooms, just a tip; put them in different names because if you have them all in your name, and you need to cancel a room, the hotel may have to cancel the entire reservation. This actually happened to a friend of mine. Boca Raton does have quite a few hotel options in the surrounding areas, however, it is important to remember that South Florida is a popular vacation destination. While there may be plenty of options, it’s still crucial to book early. August and December graduation reservations may be a tad easier, but there are far more students graduating then than you may think, so don’t hesitate to book early. Besides, in December, there is still a lot going on with students moving out for winter break. The next commencement ceremony is May 2-3, 2019. Summer graduation is August 6th, 2019 followed by Fall commencement the weekend of December 13, 2019. You might not know which of these days and time is for your student’s major until a few months before though. Particularly for the May graduation, there are so many students graduating they split it into multiple ceremonies throughout the day and evenings. More information about the specifics of Graduation day can be found here. Graduation is held at Carole and Barry Kaye Performing Arts Center located in the Student Union on the Boca Raton campus. Seating is limited but tickets are required. Guest tickets go by the number of applications received. For deadlines and additional information, click here. Those who respond to email can expect to receive three to four guest tickets. Should you require handicap accommodations for guests, it is on a first come first serve basis; however, the auditorium staff has always been able to accommodate guests who require special assistance. Graduates requiring special accommodations should contact the Office of the Registrar (561-297-3050) at least ten days in advance. Cap & Gown Isn’t Cheap! Wondering how much your student will need to pay to rent the cap and gown which is required if they are walking? Prices range from $67.98 to $360.00, depending on the degree level. All graduates are required to wear the cap and gown from FAU bookstore in order to participate in the ceremony. Click here for more information. Ordering your regalia late will result in a $25 late fee. Remember to make restaurant reservations as well. Generally, restaurant reservations can’t be made as far in advance as hotels, but due to the crowds, you will definitely want a reservation. I actually called so far in advance they couldn’t make it yet but told me when to call back so I could be one of the first to reserve the date and time I needed. I marked my calendar and all worked out beautifully. 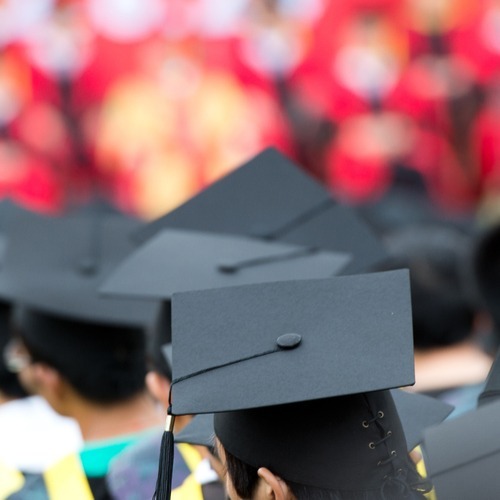 Check out our blog on Graduation Restaurants and Restaurants. Finally, I know you are going to want some great photos. Many students (particularly photography enthusiasts) will offer their services to take some amazing pictures around campus for a reasonable price days before graduation. Students may want to schedule a few weeks early as classic FAU places, including the banyan trees, the college they graduated from, the sign at the main entrance, Owlsley Statue, Student Union seal, and the football field, tend to get very crowded. My Daughter had one of her sorority sisters who was a photography major take her photos. Encourage them to book their photo session as early in the morning as possible when it isn’t so hot. And once you get there and want those family pics with your student adorned in cap and gown, be sure not to leave it for right before or after the ceremony, because that is what everyone else will do and you will literally wait in a LONG line to snap in all the key places that scream Owl. We arrived about an hour earlier than the suggested arrival time and took the photos then. FAU does contract with a private vendor who photographs each graduate as they cross the stage. If you are able to locate your student in the sea of graduates and can carefully follow their place in line, they also show them crossing the stage on the jumbotron with their name and degree. You can try to photograph that as well. One of the many fun parts of watching graduation is seeing the creative caps designed by the students. I think my daughter spent several weeks perfecting hers. Keep your gifts, balloons, and noisemakers at the hotel as they are prohibited inside the Carole and Barry Kaye Performing Arts Center. Flowers are available for purchase in the lobby of the auditorium. FAU does have a live webcast of graduation. Many of my northern family members utilized this option.